Detectives investigating a burglary at a shop in Aghalee in the early hours of this morning (Friday, 20 April) have appealed for witnesses to come forward. 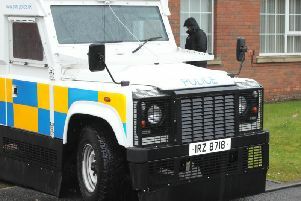 Shortly after 4am thieves forced entry to the premises on Lurgan Road and stole “a substantial amount of cash”. “The perpetrators also tried to remove an ATM from the shop but were not successful. Later on, just before 5am there was another unsuccessful attempt to remove an ATM from a shop in the Tully Road area of Crumlin,” Detective Inspector Wallace said.